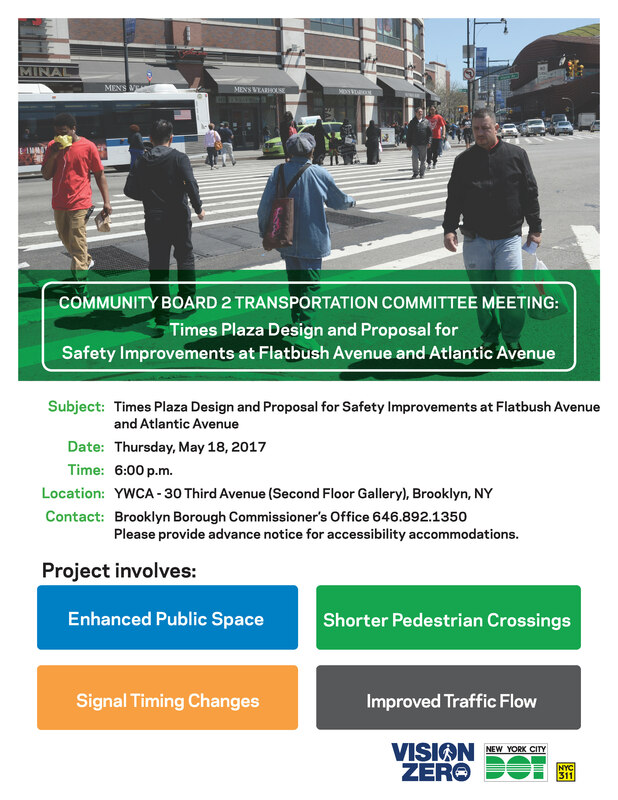 NYC DOT will present Times Plaza Design and Proposal for Safety Improvements at Flatbush Avenue and Atlantic Avenue to the Brooklyn Community Board 2 at the YWCA, 30 Third Ave (Second Floor Gallery), Brooklyn NY. Questions? Contact DOT's Brooklyn Borough Commissioner's office at 646.892.1350. Please provide advance notice for accessibility accomodations.